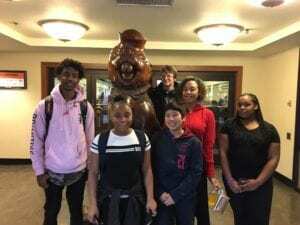 Monday, Jan. 29, 2018 – Teens from our YouthForce program and the Blazer’s Club visited Oregon State University in Corvallis. Ashton, our tour guide, gave us an in depth look at several of the key buildings on campus in addition to the variety of majors OSU offers. 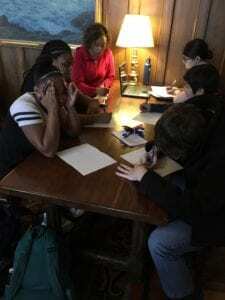 We were able to see the Student Experience Center, the Memorial Union Building, and the Dixon Recreation Center. After our tour Zachary, one of our YouthForce interns, said, “I am highly interested in this school… this college is definitely on my top 5 list”. Overall, we had a great time at OSU. Go Beavs!